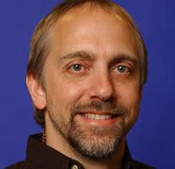 A true veteran of the computer gaming industry, Richard Garriott is best known for creating and publishing the best-selling Ultima series, including the first commercially successful online game, Ultima Online. In a career that spans more than two decades, Richard has received numerous awards including Computer Gaming World’s "15 Most Influential Industry Players," Next Generation’s "’s Elite," PC Gamer’s "Game Gods," and PC Games’ "Designer of the Year." He and his brother, Robert, were also awarded the “Entrepreneur of the Year" award by Inc. Magazine. In an industry that now rivals the movie industry in popularity, Richard Garriott is one of the few well-known "stars." Richard’s first game was published when he was still a teenager. Under the pseudonym Lord British, Richard created Ultima I (and subsequently the entire Ultima series). By the time Ultima II was released in 1982, he was sought after by publishers for his expertise and creative vision. In 1983, Richard and his brother, Robert, established Origin Systems, Inc. The company, based in Austin, Texas , is recognized as one of the innovation leaders in the ever-changing world of entertainment software. In 1992, Origin was acquired by Electronic Arts (EA), a global leader in the entertainment software industry. At Origin Richard continued to add to the Ultima series, making it one of the most successful and longest running series in entertainment software history. In 1997, Richard and his team created a new genre with the technologically groundbreaking title, Ultima Online. Ultima Online’s continued success is measured by the hundreds of thousands of people who enjoy playing the game from all over the world, and by the explosion of online games that have followed since its release. Richard retired from Origin in April of 2000 and formed Destination Games with his brother Robert. In 2001, Destination Games became part of NCsoft, where Richard continues to develop innovative new products. His current project, Tabula Rasa, is expected to launch in 2006.